You will be staying in a comfortable villa with big and fully furnished rooms that have been designed to offer you maximum rest and privacy. There are 2 private rooms with a kingsize bed, accommodating 1 guest each. The shared room has 2 single beds, accommodating 2 guests. All rooms come with an en-suite bathroom, air conditioning, hot shower, fresh towels and toiletries. The Be Kind villa is inspired by bohemian and Indonesian designs. You will find comfortable hangouts around the garden, house, and kitchen for relaxing and calming the mind. The villa is ideal for those who want a peaceful, small, and private retreat surrounded by beautiful nature. 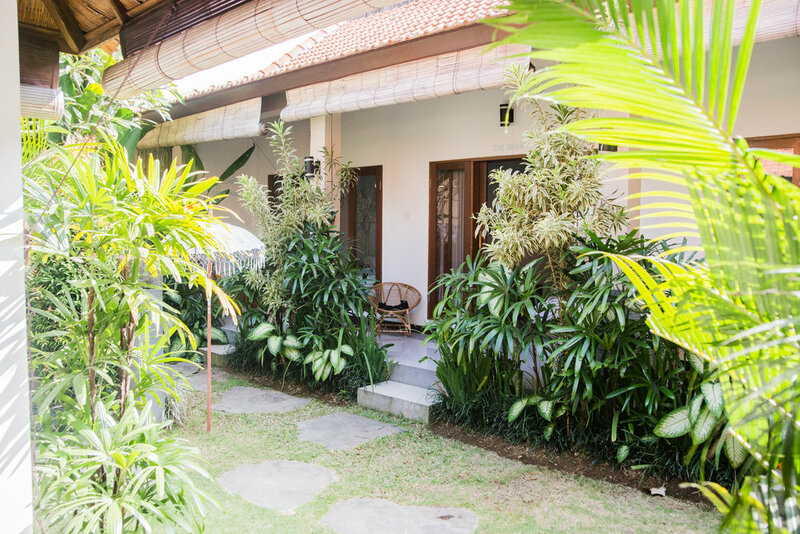 The location is perfect, calm and very close to all the hotspots in Canggu. The villa is located in the mainland of Canggu, in a quiet, cosy village and nestled between the beautiful rice fields of Bali. Canggu is a uniquely mixed paradise that many travellers dream of; a traditional Balinese village with many western hotspots, is truly has the best of both worlds. We are not in the busy hustle of Canggu, but with private transport only around 7 minutes away from the center of the village. Don’t worry, our private driver is happy to take you wherever you want to go. We serve a healthy vegan breakfast every morning. Think coconut yoghurt, quinoa pancakes, chia pudding, healthy organic juices etc. We wouldn't want you to miss out on the amazing (vegan) food scene in Bali, that is why lunch and dinner are not included. Don't worry, depending on your retreat you will have lunch in a luxury spa or our staff will help you order a meal. In the evening our driver will bring you to one of the hotspot restaurants in Canggu after enjoying sunset on the beach. Please find an impression of the villa below. You can click on the arrows on the left and right side to move up the slide of pictures.